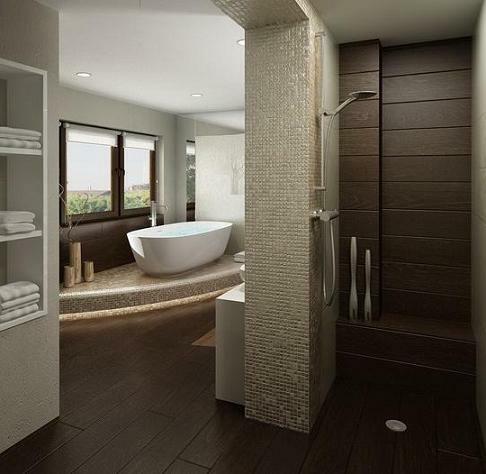 Deciding on the tile you’ll use for your next bathroom remodel is a huge decision. Tiling a whole bathroom is expensive, time consuming, and often more than a little messy, and whatever style you choose now should ideally stick with you for no less than ten years. In other words, no small commitment. 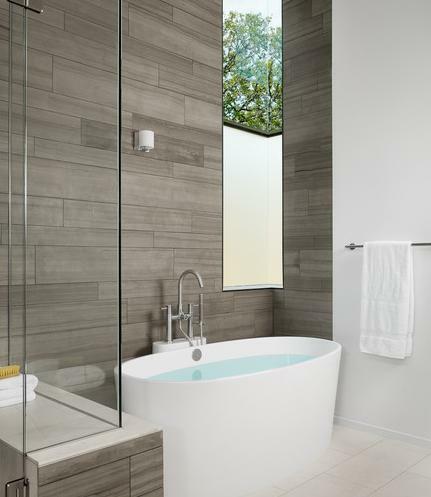 On the other hand, merely following the most common bathroom tile trends might boost your resale values, but it might not make for a very interesting or rewarding design. If you’re looking for a uniquely-you style that will last for years to come, here are a few bathroom tile trends with a little more personality. I’ve mentioned this briefly elsewhere, but bathroom tile trends are starting to favor less conventional patterns. Traditional subway tile is hugely popular these days, but simply altering the layout to a less conventional herringbone or even vertical installation is a great way to put your own flair on a relatively simple project. 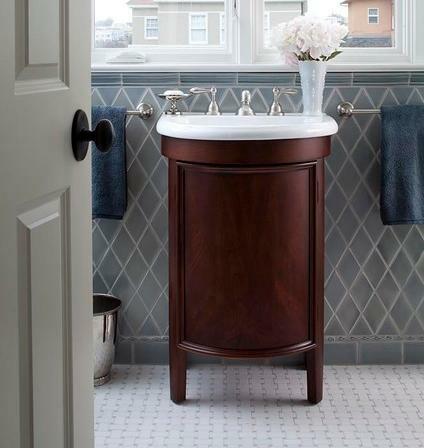 You might also want to consider less conventional mosaic tile shapes, like these lovely harlequin tiles and basket weave tiles, which have more flair and personality than traditional square or rectangular bathroom tile. If there’s one really unique bathroom tile trend that’s making a lot of headway, it’s definitely texture. This might sound a little strange, considering most conventional bathroom tile (whether stone, ceramic, or glass) is relatively smooth. But many designers are starting to put out unique embossed tile made to replicate various natural textures and textiles. Linen textured off-white tile is especially popular in a modern space, while wood tile flooring and accents are making a big splash. One of the fastest up and coming textured tiles is simply slate, a naturally textured split-surface stone that holds up well in the bathroom and has a unique rugged style, and even good old fashioned stucco will give your decor added depth and beauty. No matter which way you look at it, stone tile is in. It’s beautiful, long lasting, and extremely appealing to buyers. But if you want something a little more unique than the classic white marble, even more dramatic texture will get you there. On the mild side are stones like the aforementioned slate and rustic looking tumbled travertine. For a real show stopper? Opt for raw, unpolished stone installations, either with stacked split stone as shown here, or even the ever-popular river-rock. Both provide stunning accents (especially if you do your bathroom lighting well) and all the grandeur of stone with a whole lot more personality. Regular readers will know that I’m a huge fan of wood print tile. If you haven’t heard of it before, wood tile this is a type of ceramic or porcelain tile printed with high definition images of wood and embossed to have a similar texture to real wood grain. These are perfect for a bathroom, as they’re water tight and fairly slip resistant. But while I personally love love love the look of these “wood” floors in a bathroom, for a little extra flair, they can be used elsewhere too – like for an accent on your shower or other delightful detailing, or even to tile your walls. Better still, the use of wood (even if it’s really ceramic) is a great way to add a natural flair to your bathroom, which is very much “in” in current bathroom trends. I’ll confess, I haven’t yet decided how I feel about this particular bathroom tile trend, but homeowners definitely have. I’m starting to see these reflective, pearly-finished bathroom tiles all over the place, especially in whites, creams, blues, and greens. 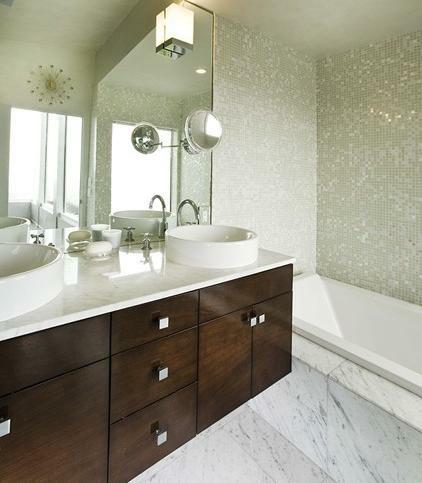 Whatever else you can say about iridescent tiles, they definitely do add a little glint and glam to your bathroom. Personally, I think that dazzling forest green can be a little overwhelming. But even I have to admit that adding a pearly, alabaster finish to white tiles is a nice way to add light and depth to a relatively simple, traditional design without making a big change. Okay, so this might not sound particularly revolutionary at a first glance. But far and away the vast majority of bathroom tile trends (and bathroom trends in general) favor palettes of almost exclusively white, beige, and gray. These basic neutrals can carry a bathroom for decades without going out of style, and mesh nicely both with a relaxed, nature-inspired decor and an industrial modern design. But if you want your bathroom to stand out? 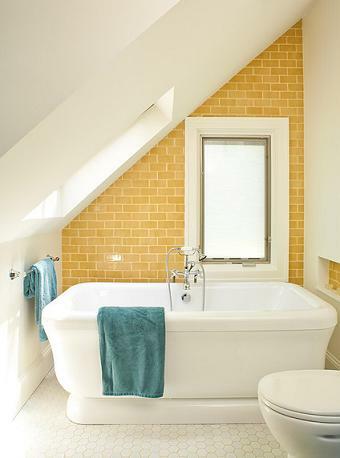 Adding vibrant, colorful tile is a great way to do it. Worried you’ll wake up five or ten years from now with deja vu of the bad colored tile bathrooms from the 60s? Consider limiting where you’ll use the color to a backsplash, accent wall, or even very small detailing to punctuate a generally more neutral design. What type of bold statement tile are you most interested in? 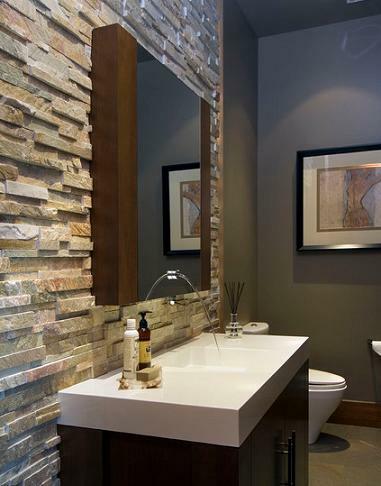 What type of bathroom tile do you think will showcase your personality? This entry was posted in Bathroom, Decorating Ideas and Tips, Flooring, Latest Trends and tagged Bathroom Ideas, Bathroom Tile, bathroom tile trends, mosaic tile, wood tile, wood tile flooring.